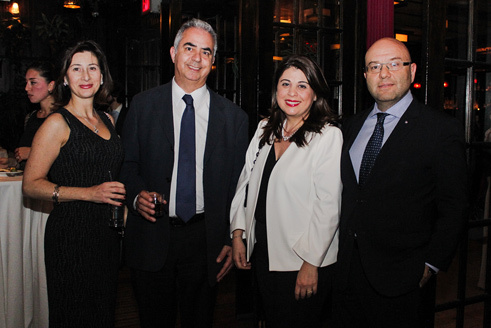 April 05, 2017, Paramus, NJ — On March 10, 2017 Armenia Fund USA held their Annual Benefit Evening at The Park, in New York City, to support the Toxic Pollution Cleanup Project in Akhtala, Armenia. The evening, which brought together the Armenian community, was a great success. Attendees got to enjoy entertainment by the YY Sisters, an Armenian a cappella folk group, who sang, danced, and played musical instruments, as well as music by DJ Harry Latirofian. Guests also got the chance to win three different amazing raffles prizes, which included a Michael Aram metal-ware home accessory set, a hand-woven Megerian Armenian Karabagh design rug, and a plane voucher for a round trip to Armenia. The night commenced with the MC Elvin Arzuman introducing the hosts of the night, Armenia Fund USA’s Chairman Levon Ariyan and Executive Director Lisa Stepanian, who welcomed the crowd with their speeches, followed by Pure Earth Board Member Diana Mkhitarian and founder of Pure Earth Richard Fuller’s impactful speeches. The Toxic Pollution Cleanup Project started in July 2016 when Armenia Fund USA announced their collaboration with Pure Earth, a world leader in the assessment and remediation of toxic sites, to raise funds for this important issue. In 2012, Pure Earth conducted an independent assessment of the soil in Armenia and discovered 23 contaminated sites, threatening the health of many Armenians. The Armenian Apostolic Church monastery in Akhtala was chosen as the first site to undergo the soil cleanup because it has the highest levels of lead contamination. The monastery where children play and families picnic on was built on top of land that was previously a copper mine. The soil lead concentrations in Akhtala were documented to be 47,000 mg/kb, which was more than 100 times the United States cleanup standard of 400 mg/kb, making 84% of approximately 500 local children at risk of lead poisoning. Lead poisoning in a child can lead to numerous health issues, which include mental disabilities and developmental delays, decreased bone and muscle growth, damage to the nervous system, kidneys and hearing. The collaboration of Armenia Fund USA with Pure Earth has led to educating the Armenian community in the US about the toxic lead pollution problem in Armenia. 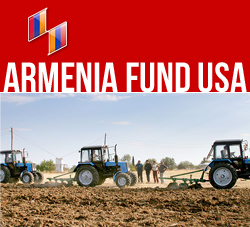 To date, Armenia Fund USA has conducted several successful campaigns to raise funds for this cause. Tons of support poured through while donations quickly piled up. Armenia Fund USA reached out to a dedicated group of women to volunteer their time and effort in order to create further awareness and raise funds for a Pure Armenia. 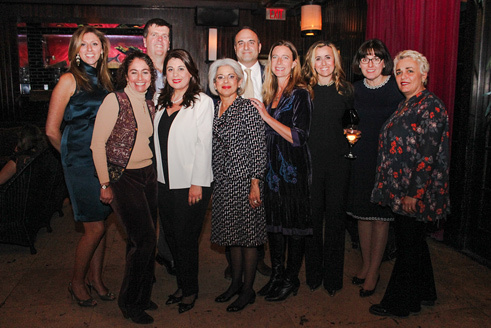 This group of women includes Pure Earth Board Member Diana Mkhitarian, Pure Earth Senior Director of Development Jen Marraccino, along with familiar members of the Armenian community Hilda Hartounian, Katia Buchakjian, Nayda Voskerijian, Tanya Bukucuyan and Eileen Karakashian. Together, Armenia Fund USA and the women of Pure Armenia put together the successful Annual Benefit Evening event that was held to bring this important project to the attention of the local communities. This event could not have happen without Charles and Diana Mkhitarian who generously sponsored the night. Armenia Fund USA is deeply thankful to them, the generous people who donated the raffles prizes and everyone else who helped make the night magical. Armenia Fund USA would also like to thank all those who have donated towards this vital project. The cleanup in Akhtala is scheduled to commence in Spring of 2017. It is hard to think of a more important project to help support. Only united, Armenians can positively change the lives of many in their homeland. Please call Armenia Fund USA’s office at 201-639-3985 if you have questions or considerations about this project or would like to make a donation. ABOUT: ARMENIA FUND USA is dedicated to supporting large-scale, self-sustaining initiatives with the greatest potential for a brighter future for Armenia and Karabakh, as they continue to undergo social and political transitions. The Fund is primarily focused on sustainable physical infrastructure for the region and humanitarian and economic development for communities, families, and individuals.